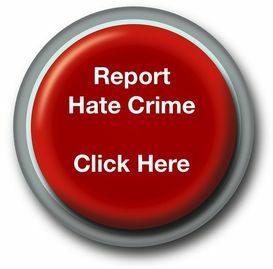 LONDON, Twenty-two leading NGOs gathered this week, November 19-23, in London to participate in a first of its kind Train the Trainer seminar on monitoring hate crimes. The training course, organized by CEJI – A Jewish Contribution to an Inclusive Europe, provides a new and innovative methodology for training NGOs how to monitor and respond to hate crime from across the spectrum of communities and issues. For the first time representatives of Jewish, LGTB, Muslim, Roma and anti-racism organisations convened together to empower others across communities to monitor hate crime. In the face of rising hate crimes in Europe, it is necessary for NGOs to take greater initiative to fill gaps left by European governments' failure to collect and monitor data on hate crimes. Last year, approximately 4,000 hate-based incidents were reported by over 80 NGOs throughout the OSCE region, according to the Office for Democratic Institutions and Human Rights. An open reception was hosted by John Mann MP at the British Parliament to make a public statement that “Hate Crime affect us all”, with the purpose to show solidarity between different victims’ groups and to showcase the ground-breaking Facing Facts! project. Several representatives from the UK Home Office and the Ministry of Justice attended the conference at the House of Commons on November 21, 2012. “We look forward to strengthen the cooperation and to support the work of the participants in making a positive, sustainable impact in the battle against hate crime of all kinds,” says CEJI Director Robin Sclafani.